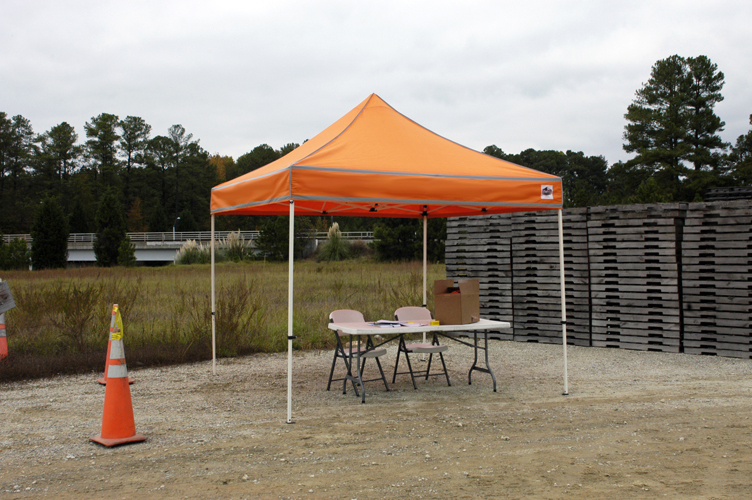 King Canopy Emergency Response Shelter 10'x10' Instant Canopy made in Hi Visibility Orange with optional side walls. The quality of this unit speaks for itself. 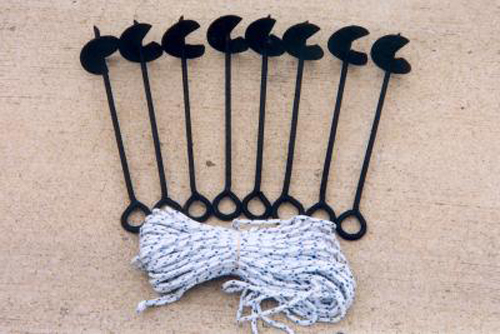 It is a unit you can trust for continual use in all environments. 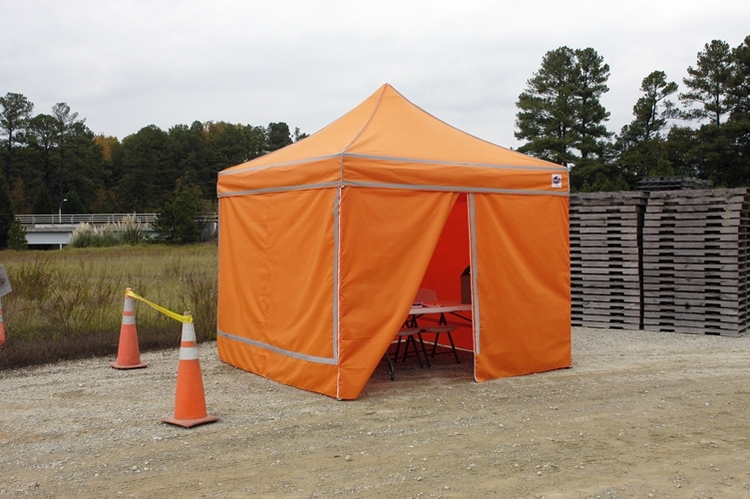 The hi-visibility bright orange color and reflective tape make this unit perfect for emergency and relief situations. This portable instant canopy comes with a 420D Polyester top with Solar Armor (silver double-layered UV barrier) and an all steel superstructure for extra added strength and durability. 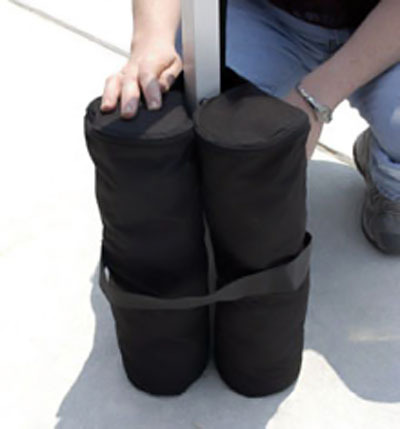 Sidewalls are available separately for additional shelter and protection from the elements. Having to work in emergency situations doesn't always have to be a disaster for those who work in emergency response situations.